Spanish lace is a type of Victorian glass that has a white lace design. 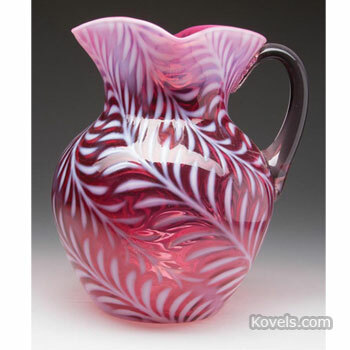 Blue, yellow, cranberry, or clear glass was made with this distinctive white pattern. It was made in England and the United States after 1885. Spanish Lace is also known as Opaline Brocade. Copies are being made.